In investment banking, underwriting is the process where a bank raises capital for a client (corporation, institution, or government) from investors in the form of equity or debt securities. This article aims to provide readers with a better understanding of the capital raising or underwriting process in corporate finance from an investment banker’s perspective. There are two main functions in corporate finance: M&A Advisory and Underwriting. M&A advisory includes assisting in negotiating, structuring, and performing a valuation of a merger or an acquisition associated with the deal. This service is usually provided by the advisory side of an investment bank, transaction advisor,Big 4 Advisory FirmsThe Big 4 advisory firms are the key players in the public accounting industry. The Big 4 advisory firms are KMPG, Deloitte, PwC and EY. They offer a wide range of services such as accounting, management consultancy, taxation, risk assessment, and auditing. Learn about the services of the big four and their or in-house by the corporate development group. On the underwriting side, the process includes the sale of stocks or bondsBond PricingBond pricing is the science of calculating a bond's issue price based on the coupon, par value, yield and term to maturity. Bond pricing allows investors to investors in the form of Initial Public Offerings (IPOs) or follow-on offerings. In corporate finance, jobs exist on the sell side with investment banks providing M&A or capital raising advisory services, or on the corporate side with in-house corporate development groups. Finally, jobs also exist in public accounting firmsBig Four Accounting FirmsThe Big Four accounting firms refer to Deloitte, PricewaterhouseCoopers (PwC), KPMG, and Ernst & Young. These firms are the four largest professional services firms in the world that provide audit, transaction advisory, taxation, consulting, risk advisory, and actuarial services. providing support services for these types of transactions. To learn more about each job in detail, see our Career Map. There are three main phases of underwriting advisory services: planning, assessing the timing and demand for the issue, and issue structure, respectively. It is important to identify the investor themes in the planning phase, understand the rationale for the investment, and get a preliminary view of investor demand or interest in this type of offering. The timing and demand of an offering are crucial to a successful capital raising. Here are some factors that influence the assessment of the timing and demand of an offering. Current market condition: Is it a hot or a cold issue market? Current investor appetite: What is the current investor risk profile and appetite? Is it aggressive or conservative? Are investors risk preferring, neutral, or averse? Investor experience: What are the investors’ experiences? Are investors experienced in this field or market? 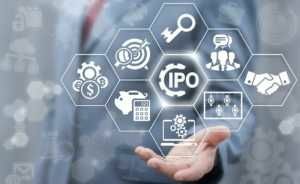 Precedents and benchmark offerings: Has a similar company (based on size, industry, and geographical location) issued an IPO in the past? What are some other companies that you can benchmark for an IPO? Current news flow: What is the current news flow on the company? Is it a positive or a negative flow? Is it going to be a domestic or an international issue? Are the investor demands located domestically, or overseas? Would investors from other countries be interested in this offering? Is the focus on institutional or retail investors? How will the sale occur? When an underwriter enters into a contract with a company to help raise capital, there are three main types of commitments made by the investment bank: firm commitment, best efforts, and all-or-none. In the case of a firm commitment, the underwriter agrees to buy the entire issue at a certain price. If the underwriter fails to sell the entire issue, the underwriter must take full financial responsibility for any unsold shares. The best efforts basis is the most common form of commitment out of the three listed, which is a marketed deal. Although the underwriter commits in good faith to sell as much of the issue at the agreed price, there is no financial or legal responsibility imposed to the underwriter for any unsold shares or deal performance. Finally, in an all-or-none commitment, unless the entire issue is sold at the offering price, the deal is voided, and the underwriter will not receive any compensation. There are three main stages in the underwriting or capital raising process: planning, assessing the timing and demand, and issue structure. The planning stage involves the identification of investor themes, understanding of investment rationale and an estimate of expected investor demand or interest. In the timing and demand phase, the underwriter must evaluate the current market conditions, investor appetite, investor experience, precedents and benchmark offerings, and current news flow to determine the best timing and demand of an offering. Finally, the underwriter must decide the issue structure based on the focus on either institutional or retail investors and a domestic versus an international issue. There are three main types of commitment by the underwriter: firm commitment, best efforts, and all-or-none. In a firm commitment, the underwriter fully commits to the offering by buying the entire issue and taking financial responsibilities for any unsold shares. The most common form of commitment – best efforts or marketed deal – imposes no financial responsibility on the underwriter, regardless of the performance of the deal. The underwriter is not liable for any unsold shares. Finally, in an all-or-none commitment, the underwriter will not be compensated at all, unless the entire issue is sold at the offering price. To further your knowledge and understanding of investment banking, CFI offers the following resources.